77842162 -Pioneers in the field, Cateora, Gilly, and Graham continue to set the standard in this 17th edition of International Marketing with their well-rounded perspective of international markets that encompass history, geography, language, and religion as well as economics, which helps students see the cultural and environmental uniqueness of any nation or region. 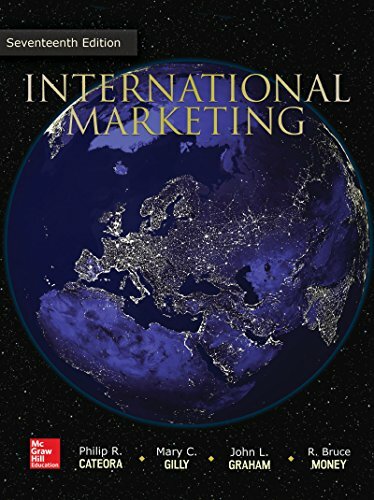 In addition to coverage of technology’s impact on the international market arena, the 17th edition of International Marketing features new topics that reflect recent changes in global markets, updated teaching resources, and new learning tools including McGraw-Hill’s Connect with its adaptive SmartBook that lets instructors assign textbook readings and incentivize students’ engagement with course content. Click “Features” below for more.